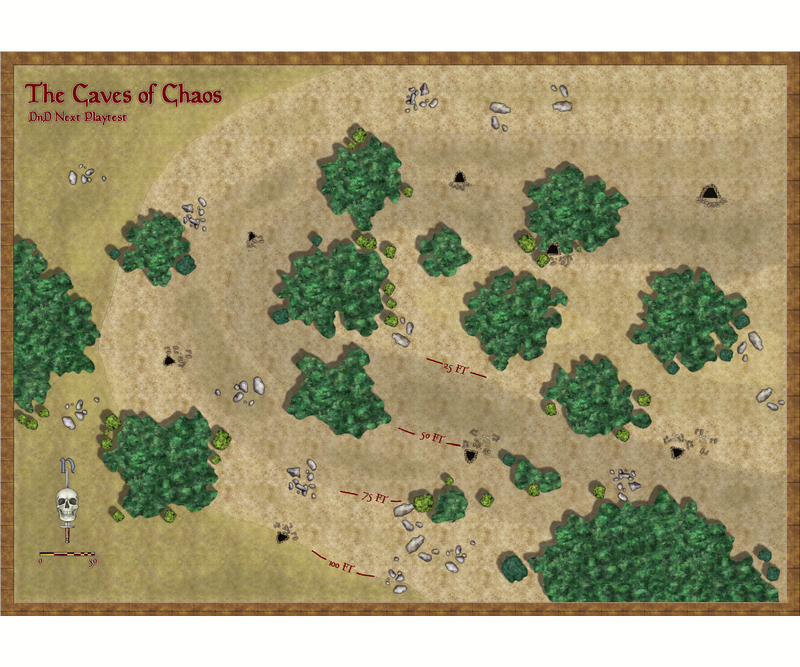 Anyway, I was considering the play-test materials, especially the Caves of Chaos included adventure, and just how to present this in a kids’ session. As I’ve mentioned before, the kids love all the maps and minis we’ve been playing with, and would get quite thrown by being pitched straight into ‘Theatre of the Mind’ combat. So I decided I would go with battle maps, even though the initial rules don’t highlight this style of combat greatly. I’m also interested in how the rules as written play out with a battle map. For me, although I’m certainly very interested in, and am likely to be a big fan of the proposed tactical combat module, its important that the base rules work fine on a battle map! This entry was posted in Cartography, Columns, DM for Kids, DnD Next, Roleplaying with Kids. Bookmark the permalink.